Switzerland is the best place to be born in the world in 2013— and India is 66 and Britain is just 27th, according to a new research. 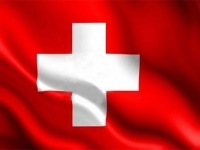 People born in Switzerland will tend to be the happiest and have the best quality of life judged in terms of wealth, health and trust in public institutions. The Scandinavian countries of Norway, Sweden and Denmark also all make the top five in a ‘quality-of-life’ index highlighting where it is best to be born next year. The Economist Intelligence Unit (EIU), a sister company of The Economist, attempts to measure which country will provide the best opportunities for a healthy, safe and prosperous life in years to come. Their index links the results of subjective life-satisfaction surveys— how happy people say they are—to objective determinants of quality of life across countries. One of the most important factors is being rich, but other factors come into play — including crime, trust in public institutions and the health of family life. In total, the index takes into account 11 indicators. These include fixed factors such as geography, others that change slowly over time such as demography, social and cultural characteristics, and the state of the world economy. The index also looks at income per head in 2030, which is roughly when children born in 2013 will reach adulthood. Small economies dominate the top 10 countries, with Australia coming second and New Zealand and the Netherlands not too far behind. Half of the top 10 countries are European, but only one, the Netherlands, is from the euro-zone. The crisis-ridden south of Europe, including Greece, Portugal and Spain, lag behind despite the advantage of a favourable climate. The top ten countries listed are: 1) Switzerland, 2. Australia, 3. Norway, 4. Sweden, 5 Denmark, 6. Singapore, 7.New Zealand, 8. Netherlands, 9. Canada and 10 Hong Kong. USA is 16 and China is 49.